On a Monday morning radio broadcast with Simon Conway, Cedar Rapids mayor, Ron Corbett, announced that he would not run for reelection. The former Republican Speaker of the Iowa General Assembly has often been rumored to be a 2018 candidate for Governor. 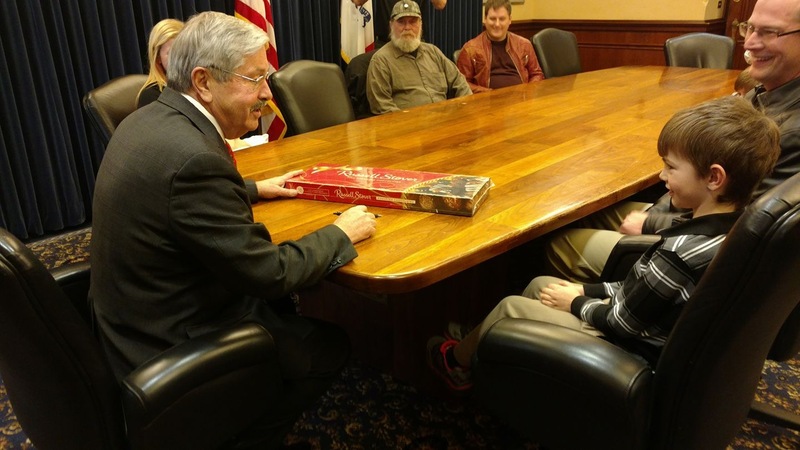 The dynamics of that race have changed considerably since Governor Terry Branstad was tapped by the Trump administration to serve as Ambassador to China. His expected appointment would make Lt. Governor Kim Reynolds an incumbent. The Iowa Secretary of Agriculture, Bill Northey, was often rumored as a potential Republican candidate. However, he immediately released a statement supporting the Lt. Governor after it became clear she would be an incumbent. Last year Mayor Corbett launched the conservative policy think tank, Engage Iowa, adding to speculation of an intended governor run. During the interview Corbett also added commentary about the upcoming race. During a Monday afternoon meeting with youth and grassroots conservatives the Governor answered a question about Corbett’s swipe at Reynolds as an “appointed governor” and if he saw Corbett as a potential threat in the 2018 race. The nation’s longest serving governor responded.